This may be true but, as previously discussed above, Parsi has deliberately avoided all mention of his undergraduate education in his CVs and other biography materials. Where and when he went to undergraduate school is unclear. Siamak in 1996 was in Tehran for awhile, completing his military service, and then returned to the US to begin graduate studies at Rutgers University in New Brunswick, New Jersey. Siamak, born in Iran on October 14, 1971, left the country with his family when he was 12. In the years that followed, he would move 11 times in 18 years, experiencing a wide range of cultures, from Nairobi, Kenya, to White Plains, New York. After completing an undergraduate degree at Tufts University in Boston, Siamak was offered a position with an NGO in Cairo, Egypt, where his father worked. Siamak declined the job and instead traveled to Tehran in 1994 to complete compulsory military duty. Most Iranians who oppose the regime refuse to serve in its military or they make a payment in lieu of the requirement. Siamak volunteered to return to Iran. He remained there for two and a half years, serving as a duty officer at the Ministry of Housing and Urban Planning. No public information could be located on Parsi’s participation, payment, or avoidance of the regime’s compulsory military duty. Maybe Parsi and Siamak met while they both were in Iran. Parsi did not travel to the US until the summer of 1997, when he went to work as an intern for then Congressman Robert Ney. If Parsi and Siamak didn’t meet in Iran, where did they cross paths? What is known is that they share a sympathetic view toward the Iranian regime and had a common interest in organizing Iranian expats to influence US governmental policies to remove the sanctions in Iran. Parsi returned to Sweden after finishing his internship in August 1997. Siamak concluded his graduate degree at Rutgers in 1998. While at the university, he occasionally published an article for Iranian.com, an Iranian community website founded in 1995. Atieh Bahar (AB) is a influential consultancy firm in Iran with close ties and partnerships with the government. AB was founded in 1993 by Pari Namazi, Siamak’s sister, and her husband, Bijan Khajehpour. The company’s legal division is headed by Babak Namazi, Siamak’s brother. AB provides market research, public affairs, recruitment, market intelligence, business strategies, and legal assistance to companies in Iran and others looking to enter the market. AB also contracts with government ministries and banks, as well as direct and indirect partnerships with energy and telecom companies. Albrecht Frischenschlager, an AB Director, manages FTZ Services, a joint venture with three government free zones in Iran. His partner at Middle East Strategies is Hatami Yazd, the former head of the Bank of Saderat Iran, the country’s second largest bank. This bank and two others affiliated with Hatami are under US sanctions. Siamak statement and question are revealing. During the early years of the war, France was aligned with Arab nations and much of the rest of the world, including the United States, in opposing Khomeini’s Iran, which sought to topple Saddam’s regime and replace it with an Islamic republic. Siamak implies France would have been blocked from supplying arms to Iraq had French-Iranians been in the foreign ministry. In other words, France would not have aligned with the West but in support of Iran’s ruling mullahs. Siamak identifies with the Iranian regime and opposes the West. After finishing graduate school, Siamak set up a consulting firm in Washington, D.C. called Future Alliance International (FAI) to promote business opportunities in Iran. The idea likely originated from Siamak’s sister, Pari, and her husband, Bijan Khajeh Pour, who had returned to Iran in 1993 to set up a consulting firm, called Atieh Bahar, to assist foreign companies enter the Iranian market. Atieh Bahar has been highly successful due to its close ties to former President Hashemi Rafsanjani and government ministries. In 1998, Siamak’s father set up the NGO, Hamyaran, to monitor and control other Iranian NGOs and international organizations operating in Iran. Siamak and Parsi presented their paper at the conference in Cypress in 1999. At the time, Siamak was likely living in Tehran. What is known is that he moved in 1999 to Iran to begin work at Atieh Bahar. Parsi founded NIAC in 2002 and began work on a Ph.D. at Johns Hopkins University. During this time, Atieh Bahar hired Parsi to write a newsletter. Parsi acknowledged he produced about 15 newsletters for the Iranian consulting company. Soon after establishing NIAC, Parsi applied for a $25,000 grant from the National Endowment for Democracy (NED) to produce a video and media training workshop in Iran. Non-Iranian groups are required to partner with an Iranian NGO for projects in Iran. It also has to be approved by Iran’s Foreign Ministry. Khajehpour was a panelist at the NIAC Leadership Conference in 2012. Parsi moderated a NIAC panel discussion on “Assessing the Iran Nuclear Talks” in May 2012 that featured Khajahpour. Parsi and Khajehpour have also appeared jointly at other conferences. They were panelists at the Atlantic Council conference, “Changing Iran’s ‘Great Satan’ Narrative” in December 2013. In March 2013, Parsi authored a 30-page report with Khajehpour and Reza Marshi on economic sanctions imposed on Iran. NIAC met with an official at the Ministry and with Hamyaran, the NGO established by Siamak’s father, to discuss acceptable NGO partners. Not surprisingly, the project was approved by the regime and NAIC received the grant from NED, providing much needed financial resources for the newly formed NGO. In subsequent years, NIAC received nearly $200,000 in NED grants. In 2005, Siamak took a sabbatical from Atieh Bahar to participate in a fellowship at the Woodrow Wilson Center in Washington, DC. While at the Center, Siamak worked with Parsi to formulate policies at NIAC. These and other emails exchanged between Siamak and Parsi demonstrate Siamak’s close involvement in shaping policies at NIAC, as well as Parsi’s collaboration with the regime-linked consulting firm, Atieh Bahar. “Iran Advocacy Group Said to Skirt Lobby Rules,” Washington Times, November 13, 2009. 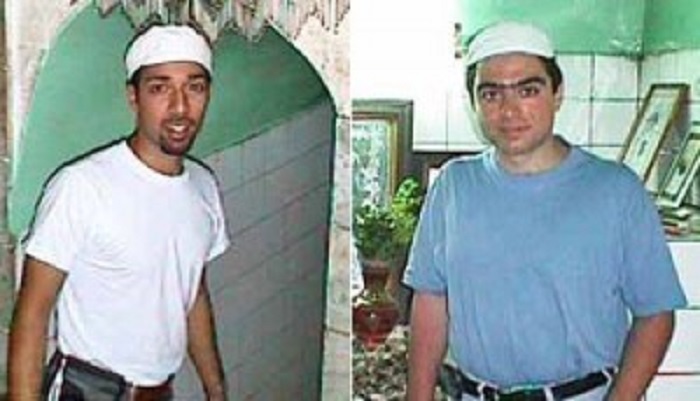 “If Mahdi Doesn’t Come,” by Siamak Namazi, The Iranian, November 9, 1998. Deposition of Dr. Trita Parsi, Trita Parsi and National Iranian American Council v. Daioleslam Seid Hassan, US District Court for the District of Columbia, Civil No. 08 CV 00705 (JDB), December 1, 2010.